For me, berries make such a fantastic dessert. They’re lovely and sweet but their light fruitiness means their not too heavy to follow up a big meal. 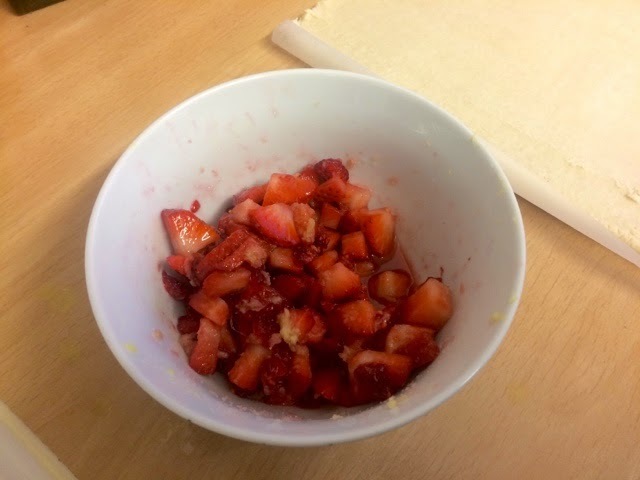 You may use whatever berries you wish to make these little tarts, I had planned on just using strawberries but I thought adding some raspberries into the mix would add a nice bit of sharpness. I’d also like to give these tarts a go with blueberries. 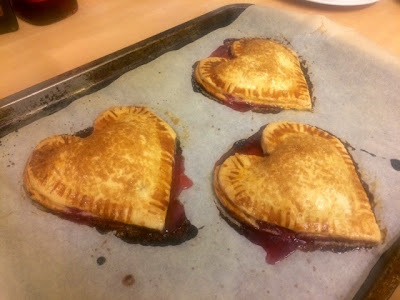 I made these sweet little tarts, appropriately enough for Valentine’s Day. 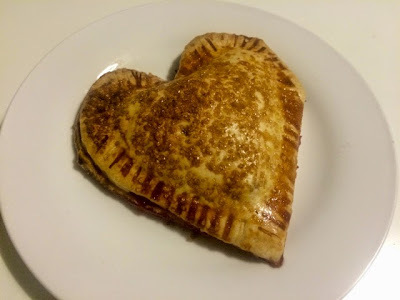 The Boyfriend is a huge fan of pastries as well as jam and I wanted to make a nice little quick and easy sweet treat that would combine the two. You obviously don’t have to make yours into hearts, they can be any shape you like and any size you like. 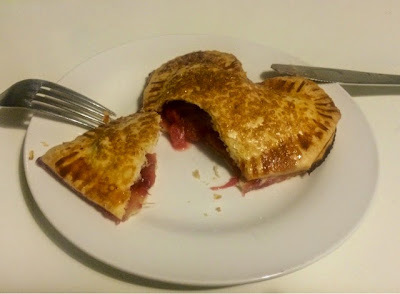 I cut mine freehand to make fairly large tarts but you could use any pastry cutters you have at home, just remember to leave enough of a gap around the edge to stick the pastry together. How many tarts you get will depend on the size of the cutter you use. 2. Mix together the diced up fruit, ginger and sugar ensuring they’re all thoroughly combined. 3. 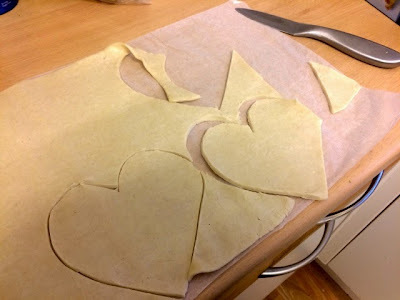 Lay out sheet of ready rolled pastry and cut out pastry shapes, ensuring you have an even number. 4. 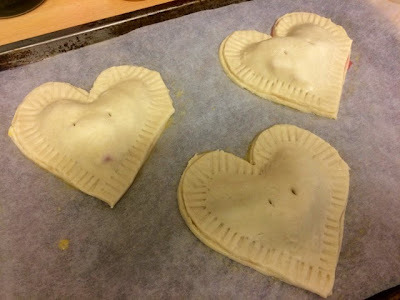 Fill the centre of each shape with a couple of spoonfuls of the berry mixture, leaving a 2cm edge all round. 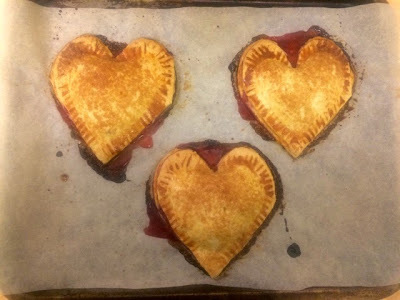 Brush the edge with some of the beaten egg, place another pastry heart on top and seal, trying to keep it as air tight as possible. Pierce two holes in the top to allow steam to escape when cooking. 5. Brush the top of the hearts with more egg wash and sprinkle over demerara sugar. 6. Bake in the oven for 15-20 minutes until pastry has turned golden. 7. Serve warm with a scoop of cold vanilla ice cream or a scoop of clotted cream.